There are seven legislative assembly constituency in Barabanki district for the 2017 Assembly elections. They are 268 Barabanki, 270 Dariyabad, 272 Haidergarh, 266 Kursi, 267 Ram Nagar, 271 Rudauli, 269 Zaidpur. When Uttar Pradesh assembly election 2017 is getting ready to electios new Assembly, Barabanki is not anywhere behind in the election heat. 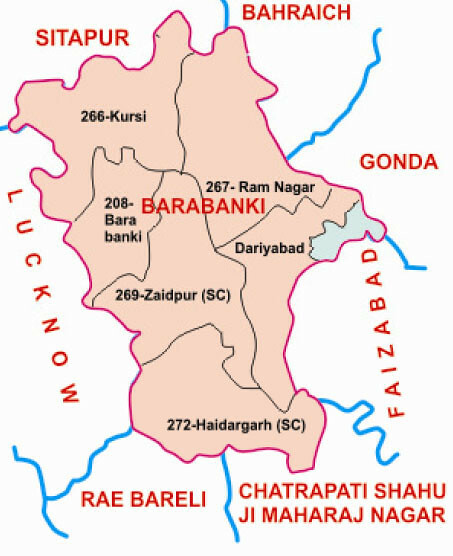 The Barabanki district is one of four districts of Faizabad division, lies at the very heart of Awadh region of Uttar Pradesh state of India, and forms as it were a centre from which no less than seven other districts radiate.